UEFA informed Kosovo clubs that they would not be allowed to compete in its competitions next season. The reason is their failure to meet requirements, UEFA said in June. Due to the perceived poor state of infrastructure and finances, Europe’s governing body exiled Kosovo champions Feronikeli and cup winners Pristina from Champions League and Europa League qualifications respectively. Football in Kosovo appeared to be making its way after gaining acceptance by UEFA and FIFA in May 2016. The country gained independence as little as eight years ago and will take part in 2018 World Cup qualifying for the first time in September. 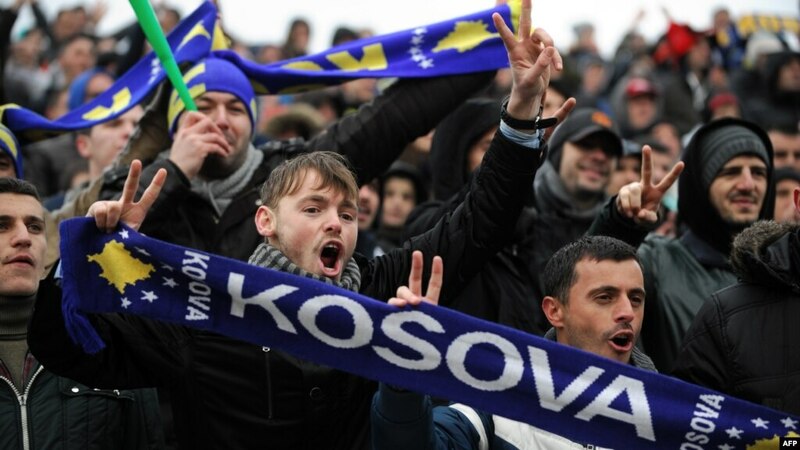 The latest ruling however is not just a hammer blow for the two clubs, but for football in Kosovo in general. “We received a letter from UEFA stating that we have not been granted a license. They requested our financial reports for the past two years and we could not provide them so soon. UEFA also told us that we cannot play in another country except in the event of war,” Pristina’s Zeri paper quoted Feronikeli director Artan Berisa. Neither club side were able to appeal the decision which followed an assessment by UEFA administration in conjunction with independent auditors. The ruling means that Kosovo’s football clubs will have to wait another year to make their debut in European competitions. Kosovo as a country declared independence in February 2008 after a lengthy and bloody war fought by the Kosovo Liberation Army (KLS) against the former Yugoslavia and after the breakup of the region Serbia. The country’s existence is still in dispute as Serbia still contest the International Court of Justice’s decision to ratify Kosovo’s 2008 declaration. Although the situation remains tense, dialogue between Kosovo and Serbia was forced by the United Nations and facilitated by the European Union in 2013 that went a small distance in cooling relations. Sport in Kosovo began to take shape when at the 2014 International Olympic Committee meeting Kosovo’s National Olympic Committee was unanimously granted the right to become a full-fledged member of the Olympic movement. After that a number of sports federations received temporary or permanent membership of the respective international organizations. Serbia and Russia, the latter ironically being the hosts of the 2018 tournament Kosovo earned the right to attempt to qualify for, mostly continue to refuse to acknowledge the country’s legitimacy and as a consequence, any sporting authority that is born from it. Many Serbs view Kosovo as an inviolable part of their country’s territory. Before gaining independence Kosovo’s status in the world had been unclear, but after a decade long conflict it resulted in recognition by the majority of United Nations and European Union states, Serbia and Russia being the main vetoes on the councils preventing unanimous acceptance. The Football Federation of Kosovo was formed in 1946 and amalgamated into a branch of the Yugoslav Football federation in 1948. Successful teams from the Kosova division would be promoted into the Yugoslav Federal division to compete. FC Prishtina, the team recently denied a shot at Europa League football, enjoyed the most success of any Kosovar team winning seven titles between 1945 and 1991. After the breakup of Yugoslavia it caused the formation of the Football Federation of Kosovo. The Independent League of Kosovo took place between 1991 and 1997. The competition had to be halted due to a further worsening of war but the league resumed in 1999 and has continued ever since. FC Prishtina have experienced sustained success but KF Feronikeli have won the last two league titles. KF Feronikeli’s stadium, the club no longer eligible for UEFA Champions league qualification, is a reminder of the struggles the country went through to force it’s independence. Former player Rexhep Rexhepi was shot 20 times by a Serbian police in 1999 and the club named their stadium after him. It is still unknown exactly what happened to him because the only eyewitness to Rexhepi’s murder was the players 10-year-old son, Fida. In an interview with The Guardian he revealed that he was sat beside him when his father was asked to alight from the truck they were travelling in at a checkpoint. The next time he saw his father he was covered with gunshot wounds. A KF Feronikeli home game at Rexhep Rexhepi Stadium. After the Balkan crisis in the 90s, the Kosovar fight for independence the battles and unrest lasted for well over another decade afterwards resulting in hundreds of thousands of displaced refugees. Some of these refugees became top-class footballers. The debate that is expected to follow FIFA’s latest admission with Kosovo is how and if players will be able to switch nationalities to the relatively new country. A number of players born in Kosovo or with roots in the territory now play for other teams, including Albania’s captain, Lorik Cana; Belgium midfielder Adnan Januzaj and Switzerland midfielder Xherdan Shaqiri. The newly formed Football Federation of Kosovo is calling for a one-time opportunity for players to switch. The notion is currently against FIFA rules but should it be allowed in these unique circumstances, there is a fear that some national teams could be potentially decimated. During the crises in the Balkan region, dating back to before Yugoslavia dissolved, millions of refugees found new homes in Europe. One of the most popular destinations were neighboring Albania and also Switzerland, the latter of which saw and influx of around half million people. Albania reached the 2016 European Championships in the Red and Black Eagle’s debut appearance at a major competition. The Balkan nation could be one of the most affected is players are allowed to easily change allegiances. Rudi Vata, a former captain of the Albanian national football team, told BIRN that the official creation of a Kosovo team can only complicate matters. “The negotiations that take place between two national football federations [Albania and Kosovo] will be crucial in seeing what happens with the Albanian national team. I foresee politics and egoism getting involved in these negotiations,” he explained. To date Kosovo have a record of P7 W3 D2 L2 in FIFA recognized matches. Their first ever “official” match was a 0-0 home draw with Haiti in Mitrovica. In November Kosovo fought to a 2-2 draw with Albania. Previously they had taken part in seven “unofficial” games, winning three and losing four. In the recent draw with their Albanian neighbors, seven of Kosovo’s 17-man squad team were born outside of Kosovo. Representing the struggle Kosovo will face in recruiting players were three Kosovo-born players lining up against the country. Frederik Veseli, Berat Djimsiti and Amir Rrahmani, have turned down offers to play for Kosovo in favor of the Albanian team. Kosovo’s nickname is ‘The Dardanians.’ A term deriving from classical writings referring to peoples from an area occupied by the country today as well as part of modern day Albania. Although similar to the famed Trojans of the same region, Homer drew a distinction between the two tribes but historians agree they were allies. Today The Dardanian tribe are fighting, not for independence as that war was won, but for 2018 World Cup qualification. The national side will will begin their campaign on September 5th away to Finland in Qualification Group I alongside Iceland, Croatia, Turkey and Ukraine. me. I’m taking a look ahead for your subsequent submit, I’ll attempt to get the hold of it!